Attleboro has an experienced group coming back this season and the Bombardiers will be looking to move up the league standings and make a run at a state tournament berth. One of the players that will be leading the way for Attleboro is senior forward Alex Compton. She led the Bombardiers in assists last season, with nine, and added seven goals as well. With leading scorer Grace Mayer graduated, Compton will be the focal point of the Attleboro attack this season and has the potential for a big year. With strong stick skills and game awareness, Compton consistently finds herself in the right spots around the goal but also has great vision to bring her teammates into the game. If Compton fires in the goals, Attleboro could make a run at the postseason this fall. 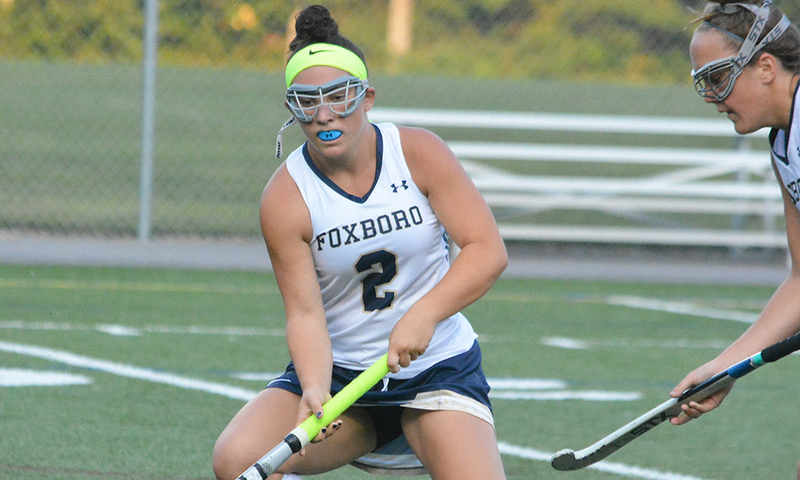 Foxboro has one of the top attacks in the league and Daly has been the leader of that offense for the past three years, helping the Warriors come within one game of back-to-back Davenport division titles and reach the Div. 2 South semifinal again. 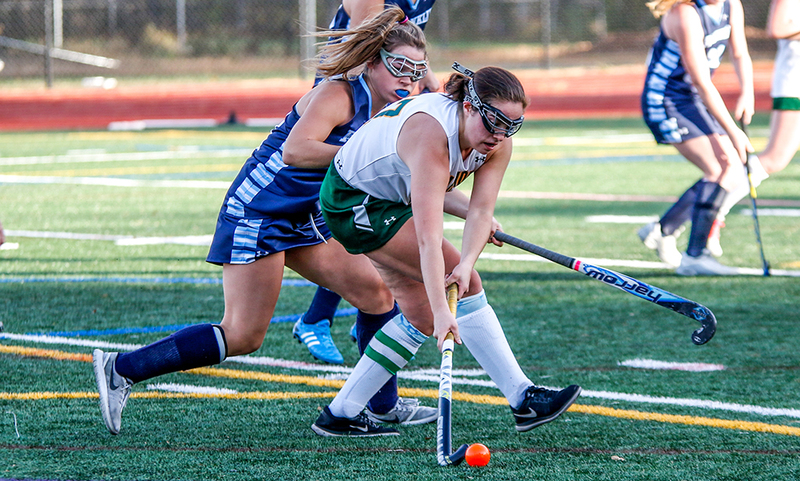 Daly was not only Foxboro’s top scorer last fall but also led the Hock with 40 points. She scored 26 goals and also had 14 assists in 2017 and is consistently one of the most dangerous players around the goal, using her strength and quick hands to finish plays in the circle and her game awareness means that she is always in the right place at the right time. Opposing defenses always have to keep track of Daly and she enters this season with the goal of getting the Warriors back to the top of the league and to the top of Div. 2 South. Mansfield is aiming for a return to the top of the league this season and Danehy is a key figure in the Hornets midfield, providing support on both ends of the field to drive the Hornets forward. Danehy is a relentless presence in the midfield, seemingly in the middle of everything that the Hornets are doing, from breaking up an opposing attack on one end and then pushing the ball forward on a counter attack. With her long strides and her long reach, Danehy is a tough player to get around in the middle of the field and she is able to burst past opposing defenders to create space in the attack. 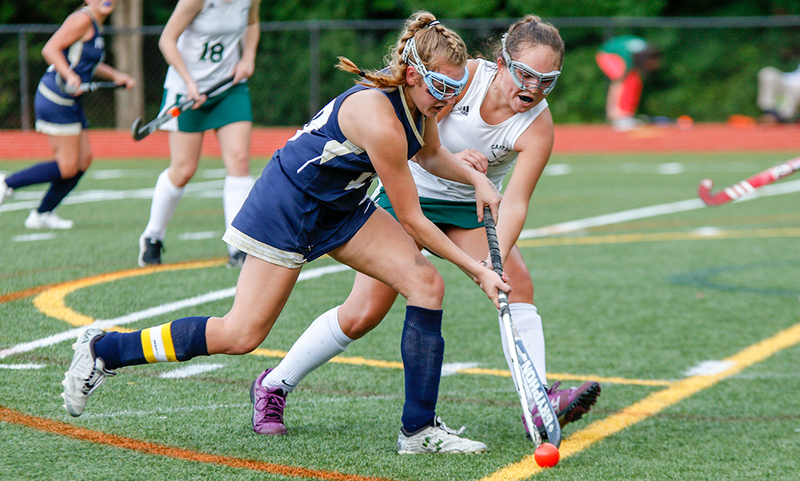 One of the team’s leaders, Danehy is hoping to get the Hornets, which handed King Philip its only two league losses last season, back to the top of the Kelley-Rex division for the first time in three years. 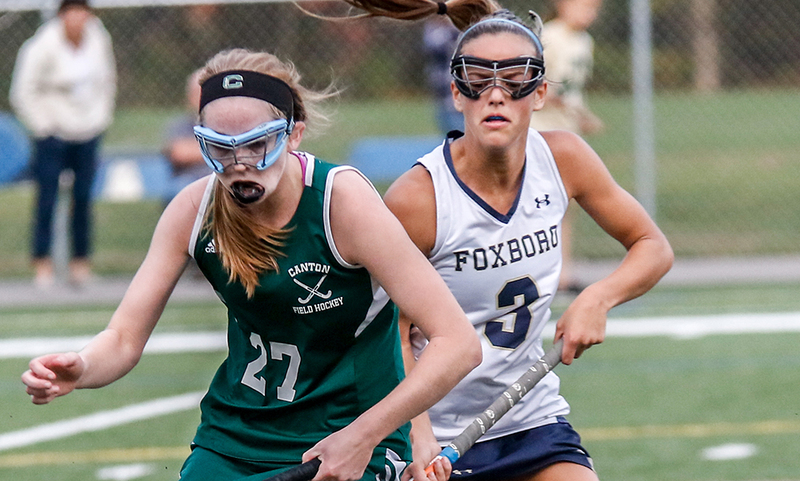 DiCenso is not only a standout on the lacrosse field, but has also been a major factor in Foxboro field hockey’s success over the past few seasons. She provided 18 goals and 12 assists last fall, keeping the Warriors in the hunt for a Davenport division title right up to the final game of the season and helped the Warriors get back to the Div. 2 South semifinal. Partnering in attack with Lily Daly, DiCenso is a creative player who can use her speed and stickhandling to break down opposing defenses, giving Foxboro one of the most dynamic offenses in the league. The University of Richmond lacrosse commit will be looking to bring home more silverware for the Warriors this fall to go along with the 2016 D2 South title. Stoughton is looking to bounce back after a seven-win season, and one of the players that the Black Knights will turn to is senior forward Allie Howe, who was the team’s second-leading scorer in 2017. Howe scored nine goals and had two assists last year, and with an injury to leading scorer Julia Russell that will keep her out for the season, Howe will have even more responsibility for the Stoughton offense this fall. Howe has the speed to beat defenders in transition and is clever in finding space in front of goal to finish off attacks. The Black Knights will be aiming for a return to the state tournament and Howe’s offensive production will be critical to a quick turnaround this season. While the 86 goals that King Philip scored last year will get a lot of attention, the Warriors title-winning season was also a product of a league-best defense that allowed only 13 goals in 23 games, including 14 shutouts. Izydorczak was one of the leaders of that stingy defensive unit and her experience and leadership will be a key to KP trying to repeat as league and South champions. Her ability to read the game and make quick decisions to break up attacks combined with good hands to time tackles helped keep the opposition at bay and limit the number of chances on the KP goal. She also seemed to always be in the right place when the opposing attack did get through, making a couple of important goal-line clearances in the playoffs. Izydorczak and the Warriors will have high expectations after a dominating 2017 and the defense could again be the key to KP’s success. 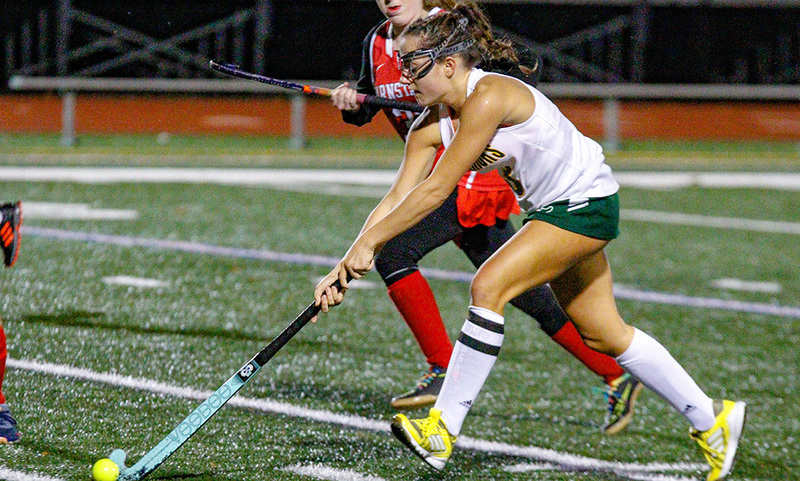 After springing onto the stage two years ago as a novice to the sport of field hockey and becoming an instant scoring threat for the Bulldogs, Malloy has become one of the top forwards in the entire league and one of the reasons that Canton won the Davenport last season and nearly made it an all-Hock Div. 1 South final. 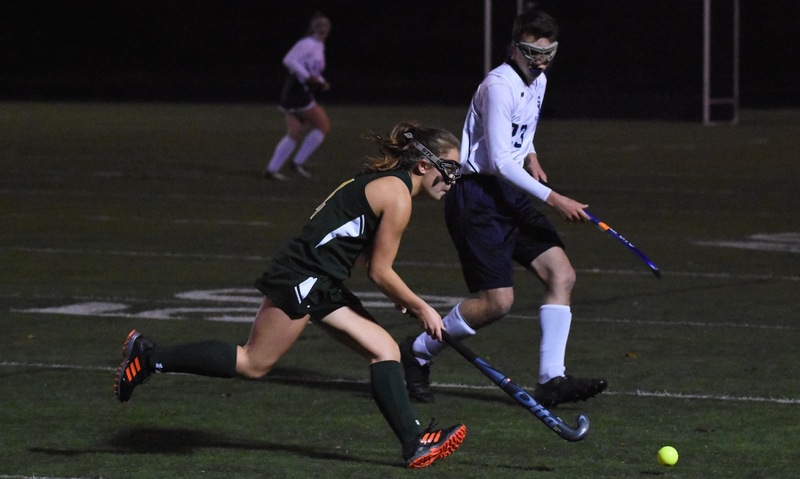 Malloy led the Bulldogs with 27 goals and eight assists in 2017 and only an overtime loss to top seed Somerset-Berkeley kept Canton from reaching the sectional final to face fellow league champ King Philip. An aggressive player, who brings the energy, stickhandling, and physicality of ice hockey to the field, Malloy has increased her positional awareness and her all-around game to be a constant threat to any defense. Malloy’s nose for goal and tenacity will be counted on again this year in order for Canton to make a similar run as last fall. 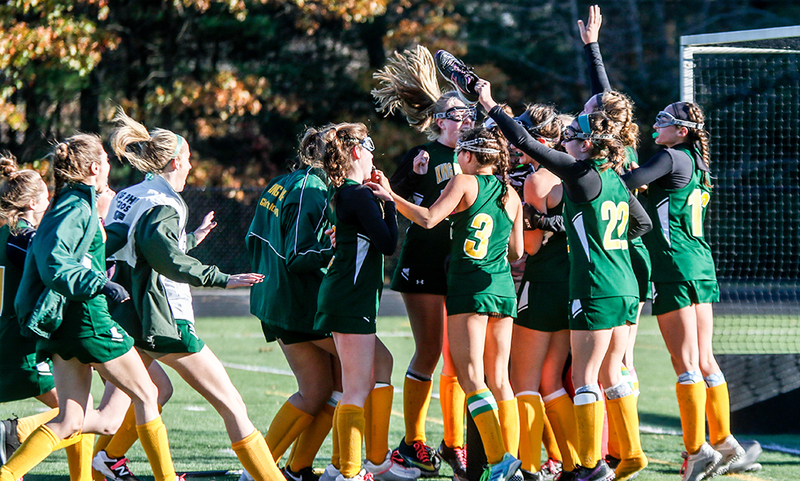 Unquestionably, King Philip was the league’s top team last fall, winning the Kelley-Rex division title as well as reaching the state semifinal, and Meehan was the team’s focal point on attack, leading the team with 40 points and more than 20 goals despite missing several games due to injury. With Meehan leading the attack, KP scored a league-best 86 goals. The Northeastern University-commit boasts great pace to make runs down either wing, but also the quickness with the ball on her stick to exploit even the smallest gaps in a defense. She is just as capable of pulling off a great finish on the run as picking out a defense-splitting pass that will set up a teammate in the crease and is someone that opposing defenses need to account for at all times. Meehan will be lead the KP attack again this fall and that puts the Warriors in a solid position to try and repeat last year’s dominant season. 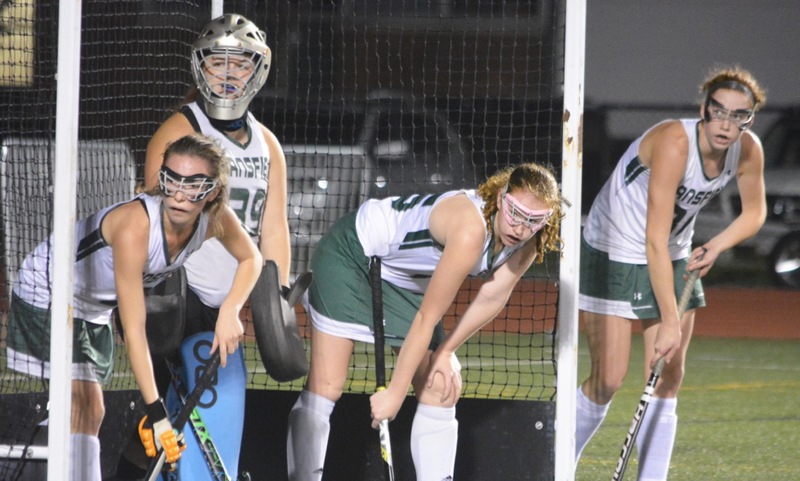 Ronan was the key to Franklin’s resurgence from a difficult start to the 2017 season to taking second in the Kelley-Rex division and push eventual South (and league champion) King Philip to double overtime in the second round of the state tournament. Ronan, one of the top stickhandlers in the league, showcased her all-around game to get the Panthers back into the playoffs. She scored team highs in goals (20) and assists (10) and consistently created scoring chances for the Franklin attack, while also chipping in with defensive work in the midfield to limit counterattacks from the opposition. Ronan will be counted on again this fall, under a new coaching staff, to once again keep control of games for the Panthers and try to get Franklin back on top of the league. Just a sophomore, Stryke is one of the top scoring threats for Oliver Ames, as the Tigers battle for a return to the state tournament and to make a run up the league standings in the ultra-competitive Kelley-Rex division. Stryke was the team’s third-leading scorer last year, behind graduated seniors Liz Nuss and Sarah Stevens, scoring seven goals and assisting on four others. This year, much of the offense will flow through Stryke, who has already shown the stick-handling and awareness of a much more experienced forward. With the speed to take advantage of any space that a defense gives up, Stryke could be ready for a breakout season for the Tigers, who made the playoffs last season only to lose an overtime heartbreaker and have a new coach in Sharon Lawrence. Getting Stryke on the ball often will be a good way to create the offense the Tigers need.